Home solar power keeps getting more popular by the week, and with good reason, but is it right for your home? With the cost of solar panels dropping, and the price of energy rising, solar power can be a great investment for homeowners, not only for the boost in property value, but also for helping to keep electric bills down for years (decades, actually). A wide range of solar incentives can help add weight to the financial case for choosing home solar, and solar leasing and $0-down financing options offer flexibility when it comes to having the cash in hand to install a home solar array. However, before you start shopping for bids on a solar system, it’s important to consider the following factors, which may either help make the case for you to go solar, or point you in another direction first, such as making your home more energy efficient. 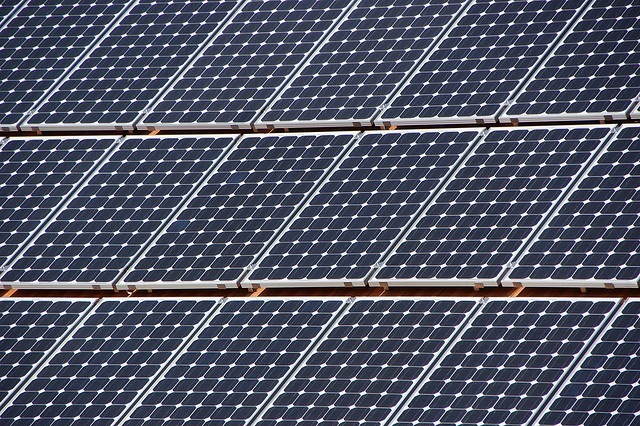 If you’re a renter, you may be able to buy renewable energy through your utility, or to participate in a community solar program, but other than convincing your landlord to install solar on the home, you can’t do much else with solar at home (although you certainly could invest in a few solar chargers to power your gadgets, or build a small standalone system (panel + battery) that isn’t permanently installed on the property). How much energy does your home use each month? For households with smaller electric bills, it may not make the most sense financially to install a home solar system, because the payback period might be much longer than is appropriate for you. Some homes may have lower electric bills because of higher energy efficiencies in electric appliances, or because of a well-insulated building envelope (which reduces heating and cooling costs), or because of low energy costs from the local utility. Having a home energy audit done can be a great place to start, as it’s always cheaper and easier to reduce consumption first, before installing solar power. Understanding your electric bill, including how much electricity your home uses and how much you pay for that electricity (which may vary depending on time of day, overall demand, etc. ), is a key step when considering home solar. What’s your budget and credit rating? Solar power may help to provide ‘free’ power for many many years, but it’s not usually free upfront, so it’s important to consider your finances and your credit rating before making the choice to go solar at home. There are a number of financing options available to potential solar homeowners, but it’s hard to get financed with bad credit. If you are considering purchasing a solar power system outright (with cash or personal/mortgage loan), then you’ll need to know how much you can put toward home solar (through loan payments) each month. For most home solar systems, the roof is the best place to install the solar panels (although it’s not the only option), so it’s important to consider the condition of your roof before moving forward. Not only is the structural integrity important, but the roof surface itself (the shingles or other roofing materials) needs to be examined. If your roof is more than 15 years old, then according to Energy.gov, you should probably replace the roof before having solar installed. The most common type of roof, asphalt shingles, is the easiest to work with, as it’s easy to drill into or cut, as well as to patch and repair (if necessary). Other types of roofs, including tile and steel, are a bit more difficult to install solar panels on, and may add to the overall cost of your home solar system. What is the orientation and pitch of your roof? Because most homes aren’t built with solar in mind, the orientation of the roof planes doesn’t always match up with what’s optimal for solar arrays (usually due south, but also west). On top of that, the pitch of the roof might make for a more difficult (and hence more expensive) solar installation, such as those with flat roofs (which might need additional racking materials to tilt the solar panels at the best angle), or those with high pitches (which might add to labor costs). Does your roof have any shading throughout the year? In most climates, we’re happy if we can get some shade on the roof during the hot parts of the year, but for solar, shade can be your nemesis. If your home has a taller house or other structure around it that can significantly shade your roof during the year, then rooftop solar might not be the best option for you. If it’s only slightly shaded during certain times of the year, it may not be a deal-breaker, but you’ll want to ask about it during a solar site evaluation. While these certainly aren’t the only qualifications for going solar at home (one obvious one is how sunny is your location throughout the year), by asking yourself these questions and finding the answers, you’ll be able to make an informed decision about home solar power.